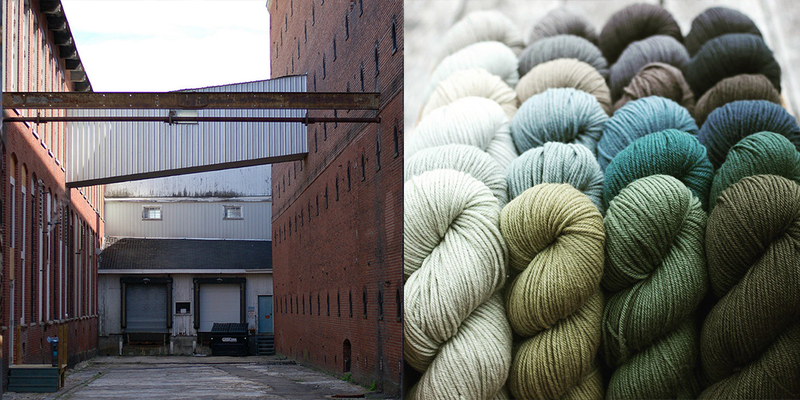 Fiber folk: It’s hard to put into words just how great the family behind Yarn on the House, or YOTH yarns is. Earlier this year I spent an evening with the whole crew and it was mesmerizing to watch the dynamic between each member, the love, the dedication and the consideration that makes this family run operation a joy and success. For anyone who’s even been in the same room as Veronika Jobe, knows the positive energy and enthusiasm this woman exudes. 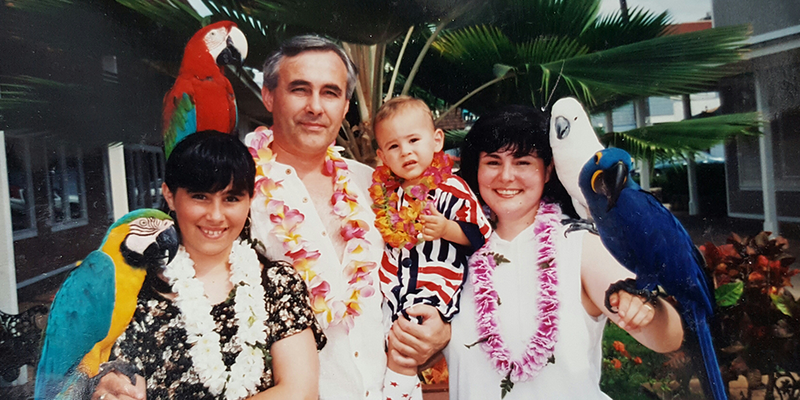 I hope as you listen today, you come away inspired by this family’s story and gratitude. You can find YOTH at yothyarns.com and on Instagram @yarnonthehouse. 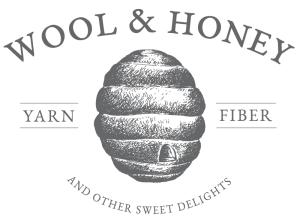 Sponsor: Wool & Honey’s focus is on thoughtful companies who add their own stories to our little spot in the world–brands that highlight fibers that mirror the exquisite natural beauty of their area. 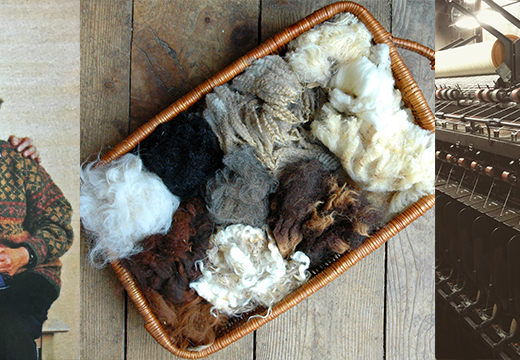 Michigan fiber artists are paramount—and their selection of locally grown, dyed, spun yarns and fiber is unparalleled. The hive is the center of it all–it’s home. Home to bees of all ages and ability levels, each adding a bit of shine to a vibrant community. Every day, these tiny workers gather pollen–powdery bits of fluff–and with a little time and effort, transform it into gorgeous, golden nectar. How similar we knitters are to the bee! Taking nothing more than two sticks and a string, we create warmth and comfort, fabric to clothe and decorate our bodies. Make sure to visit on Saturday October 29th from 10-4pm for the Brooklyn Tweed trunk show, full of surprises, samples to try on, patterns and special guest Jared Flood will be signing copies of his new book, Woolens. Visit woolandhoney.com for more info and in person for a selection of YOTH yarns and other wooly goods. Follow along on Instagram @woolandhoney. Fall/Winter Woolful Knitalong: Beginning November 1st, let’s celebrate the cooler seasons with a Biches & Bûches inspired knitalong, casting on one of their patterns, kits or with one of their yarns. You choose how you’d like to join the knitalong and then we’ll get started. Visit http://www.bichesetbuches.com to be inspired and find your project kit or yarn and Monday I’ll be announcing further details of the podcast on the blog. Giveaway: The winner of last weeks giveaway is Jamie Dear, you’ve won a sweaters worth of Purewash yarn and the R&R Hoodie by Tanis Fiber arts, Pumpkin Spice tea from Plum Deluxe, a skein of Moeke Stela yarn along with Lesley Robinson’s Mug Matt pattern. Congratulations! This week’s giveaway is sponsored by YOTH yarns, DreaReneeKnits and Wool and Honey and they’re giving away Andrea’s Mae Pullover pattern along with a sweaters worth of yarn YOTH’s Father yarn and a set of Petoskey stone stitch markers. To enter, leave a comment on this blog post. What a thing of beauty this story is – both on a personal family level as well as the lovely product they have each had a part in creating. Thank you for sharing this journey! I had an opportunity to meet Veronika this past spring at Brooklyn General during The Girls Road Trip tour. I was so moved by how genuine she is (and Dami too)! Again, I am amazed by the closeness, respect and dedication of her entire family to each other and the business and hearing her talk about her brother made me cry- it was so heartfelt. 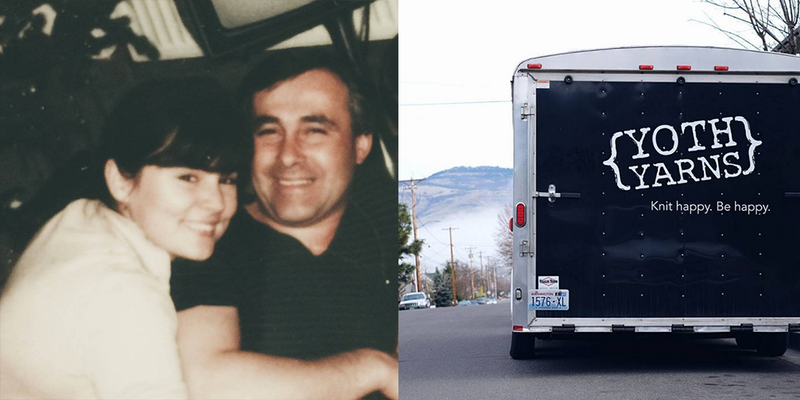 Thank you for sharing the story of this amazing woman and family business! These yarn colors are so gorgeous! I have wanted to try Yoth Yarns for a long time. I love their color palettes and it looks luminous. This podcast just made me more determined to knit a special project with their yarn. I need a road trip to Tolt or to Knit Fit so I can feel and see the yarn for myself. What a wonderful family! Their love for each other is palpable in their voices and shines through as they each speak. Thanks, Ashley, for bringing a little bit of them to us in your podcast. Bravo to all. I cannot wait to listen to this podcast! I had the pleasure of feeling YOTH yarn at TOLT, and cannot wait to knit with it! You get such a sense of how much of a family business Yoth is by hearing the bones of each family member! Would love the opportunity to try some of this lovely yarn. I haven’t gotten to try YOTH yarn yet and now I really want to! How inspiringI I am looking forward to trying YOTH yarn now too. Haha, Charlotte – I was going to say the same thing. I’m gonna wait until the house is quiet tomorrow morning and then sit with my knitting to listen to it! I wasn’t familiar with YOTH until recently when jess (@thekitchenwitch) knitted her beautiful KAL sweater in it. It looks beautiful! I thoroughly enjoyed this podcast. What an beautiful family and a priceless interview. loved it! I really liked this episode and their yarn looks lovely. so excited to listen to this episode! Love the colors of the YOTH yarn. Very inspiring! 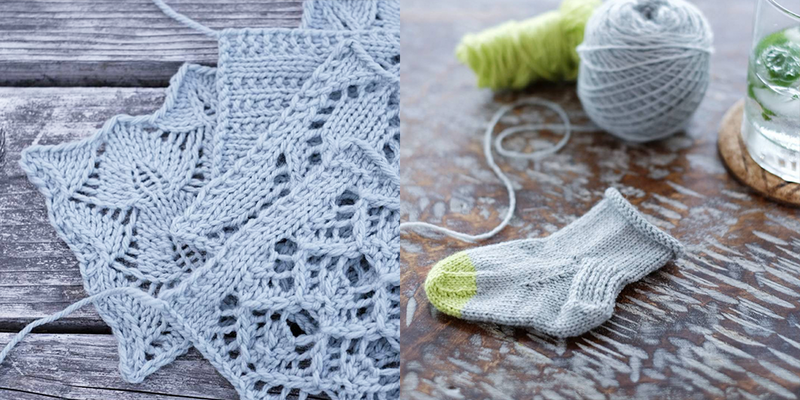 I follow Veronika’s blog for a while and I love how cleaned and simple yet sophisticated her designs and yarns are! Lovely podcast! Will definitely try this yarn – love their colors. 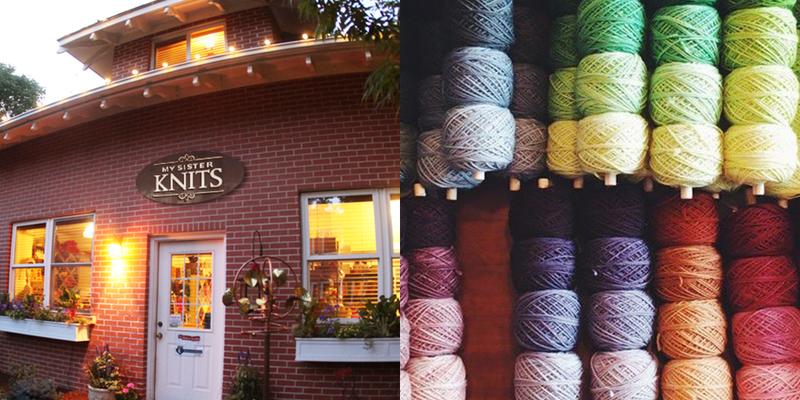 Yoth is a yarn company that intrigues me, and I am dying to try their yarn. Winning a sweater’s worth would be unreal! THank you for the lovely giveaway opportunity! What a wonderful family story! YOTH is one of my favorite yarns to work with. I can’t wait to see the new colors. Really enjoyed this podcast ! Would love to get my hands on the yarn and pattern. Thanks for the chance to win. What a wonderful episode! I’ve been a fan of YOTH yarns since they came on the scene and look forward to KnitFit so I can get a new colorway. I loved hearing the story of how this yarn came to be and the love this family has for each other. So awesome! This looks like another interesting episode – thank you! Again a wonderfull story behind a beautiful brand. I love that this family works together and has so much joy in this venture together. I enjoyed every second of it! 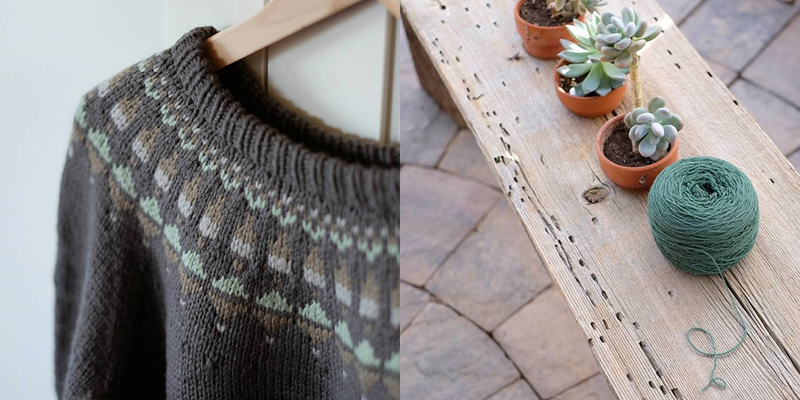 what a great story, and i’ve admired this pattern and yarn combination since i first saw it! i’d love to knit it up as a good post baby splurge… thanks for the chance to win! 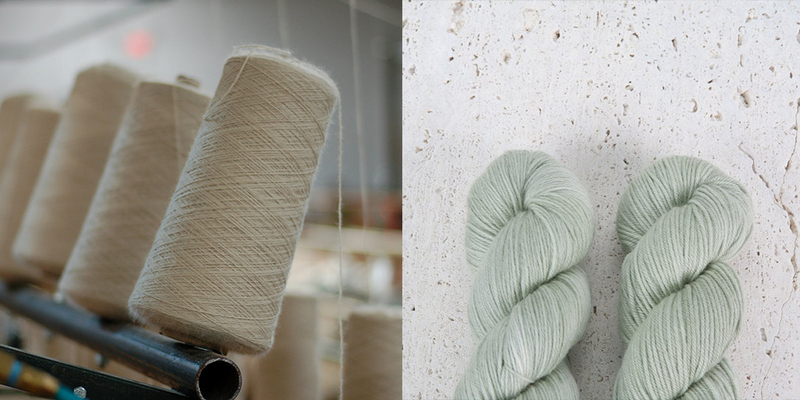 Again, so lovely to learn about another yarn company I enjoy! Thanks for the podcast. While knitting a hat this week with some YOTH Father I had in stash I thought” this yarn is really nice, I could see using it in a sweater”….but the thought crossed my mind I didn’t really know anything about the wool, where it comes from, who dyes it? What a treat then when I went to listen to Woolful this morning and saw Veronica Jobe’s name in the title! Enjoyed the family sharing so very much! 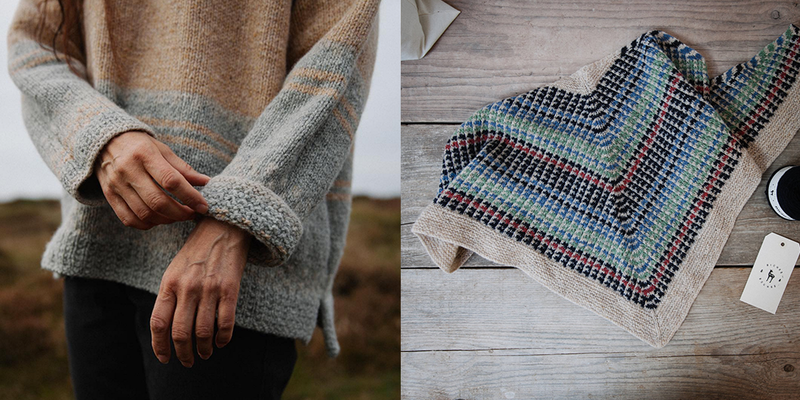 Such a nice story….super pleasant to hear the details while I knit on my project with this lovely wool! Best of luck with your family endeavors! What a lovely give-away package – of course, I would love it. What a wonderful podcast! I love that the entire family is involved in Yoth Yarns and it is very apparent their love and respect for each other. Very inspiring! The yarn colors are fabulous…at this moment Thyme is my favorite with a few others coming a close second, third, etc. I wonder how many commenters know what a Petoskey stone is? So enjoy the Woolful,podcast…always a delight! Loved this interview. What a beautiful family and company. Lovely interview with such a warm, family operation. Selling happy indeed! I met these two when they were a part of our Interweave Fest in Longmont, CO. They were the nicest, coolest people and I fell hard for their yarn and designs. What a great episode. Wow! Thanks for the awesome podcast! And for the amazing giveaway’s! I love learning about people who love their careers. Especially when those people realize that they produce something that gives many people such joy and happiness…..this is a lucky (and hardworking) family! What a nice episode! Love the family vibe. I am especially excited that they are based in my local area! What beautiful colors the YOTH yarns are! What a great family story, enjoyed the podcast. I’ve had the pleasure of meeting Veronika both at Tolt and at Baaad Anna’s in Vancouver. She is just a gem! And that yarn is so good! I’m so happy that YOTH has been thriving these last few years. Lovely lovely episode. Such a great family of many talents and with the gift for combining them all together making the perfect match. And thank you so much for bringing the whole business togheter with also the male voices! Agreed, such a delight to hear their story! And, yes, I know what a Petoskey stone is! And, the yarn is lovely…colors are amazing. I also love My Sister Knits! 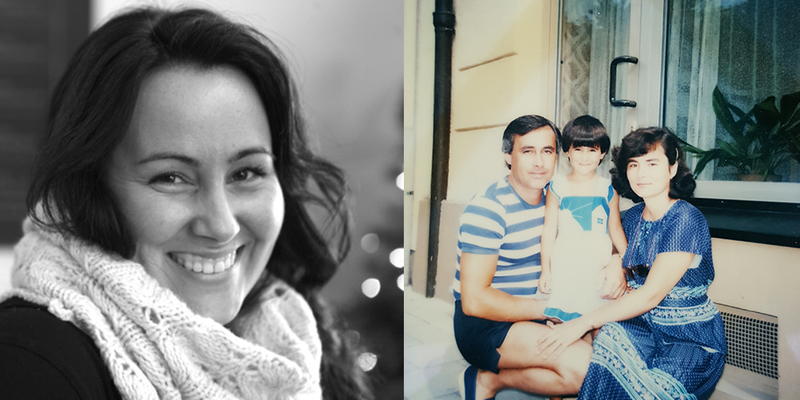 Fun to hear Veronika and family talk about their love of fiber and working business together. And for this weeks sponsor, Wool and Honey! I’m going to make the 8 hour drive from Iowa to visit my dear sister and husband in Leelanau County for this weekends Brooklyn Tweed Trunk show! Thank you so much for sharing this story! I loved hearing about YOTH yarns and loved even more hearing the whole family sharing it. What an amazing family of talent and love for fiber and each other! YOTH colors are beautiful. I will have to get my hands on some soon. The way YOTH is run and the deep connection to family and passion is so inspiring! I’m so glad you interviewed them, and the yarn is gorgeous. Another great episode! Thanks for all the work you put into bringing us the story behind brands that are already household names, and introducing us to new ones. I’ve discovered some of my favorite companies through Woolful, and I feel that much happier supporting them when I know a little something about the wonderful people behind them. Thanks for the chance to win. I loved this episode. 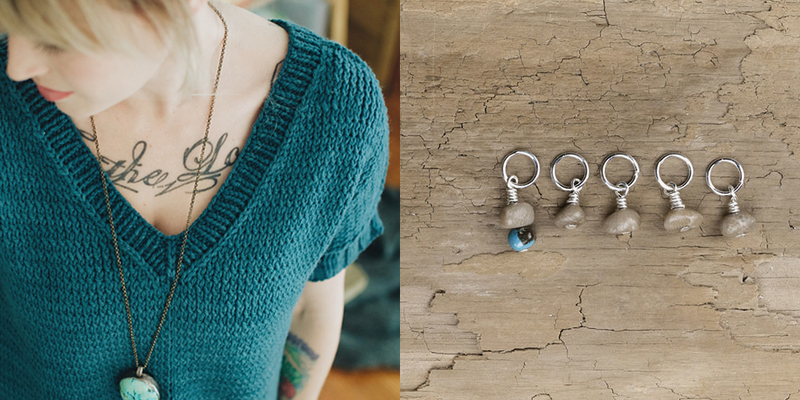 Those stitch markers are perfection. I’m a big fan of slightly greyed down colours, somehow it transforms any colour into a neutral; gender and fashion-wise. Fantastic! How silly do I feel–I didn’t know Veronika Jobe was behind YOTH! Great to hear about the company & the family. I really enjoyed hearing the story of the journey of YOTH yarns. Very inspirational. Yarn on the House is so wonderful. Thanks again for a wonderful and engaging podcast! I love this family and yarn. As a fellow Washingtonian I’m so excited to cross paths with them at all our wonderful fiber events. See you at KnitFit! It was so great to hear their story. I love that the whole family is involved! Great to hear this family’s story. How inspiring to see them create a family business! Also I love their yarns. Thank you. Great episode, such a wonderful family working together! Yoth yarns are beautiful, love the grass and avocado colors! My knitting sister is coming for a visit and I will take her to Wool & Honey on Saturday, so excited. Thank you. What a delightful visit with a truly inspiring family. It has been exciting to watch the development over the past couple of years and l am looking forward to reconnecting at the upcoming Seattle Knit Fit event. What a wonderful episode. Such a treat to listen. What a great interview. Loved hearing from the whole family and their down to earth style. This episode was so lovely to listen to, the family is so enthusiastic, cheerful and positive… So full of energy and love for what they are doing together – a real inspiration! Looking forward to having more time to listen to podcasts after difficult family times taking care of aging parents. They are a wonderful escape – just like my knitting projects. Thank you. DreaRenee has some extremely fun patterns and it is inspiring to listen to your podcasts as we head into the cooler months, thanks! I would love to try YOTH! Thank you for sharing YOTH’s story with the fiber community. They are such humble, genuine people. Wow!! What a remarkable family! Each with their own unique gifts and talents that create such a beautiful line of yarn! Bravo! That was probably my favorite episode so far. Such a fun and happy family. So looking forward to listening to this episode! Thank you for such a lovely giveaway. Eep! There is rarely an opportunity where getting to sit down and listen happens outside the normal drive/taxi part of the day but this episode took me from the hum drum of every Monday and followed me back home to where I made the family listen alongside just so that I could finish the story. Thank you for your continued hard work to make these special moments happen for people like me! I love the story behind this company. Their color palette is my style. Great podcast, as always! YOTH Yarns are some of my absolute favorites! It was so lovely to hear more of their story. Loved learning about this new-to-me yarn company! Completely charmed by how will e they work together and support each other. Thanks for the giveaway and another inspiring episode. I loved this family story, and will also always feel a special cyber-connection to Ve as the winner of her very first yarn giveaway on her blog!! I posted as fiberfrontlines on this post – http://yarnonthehouse.blogspot.com/2010/02/first-free-yarn-giveaway.html – and won skeins of red Cascade 220 from YOTH. I still have one left in my stash!! This is my favorite project it ended up in – http://www.ravelry.com/projects/gumbygoogoo/wonderful-wallaby-2. 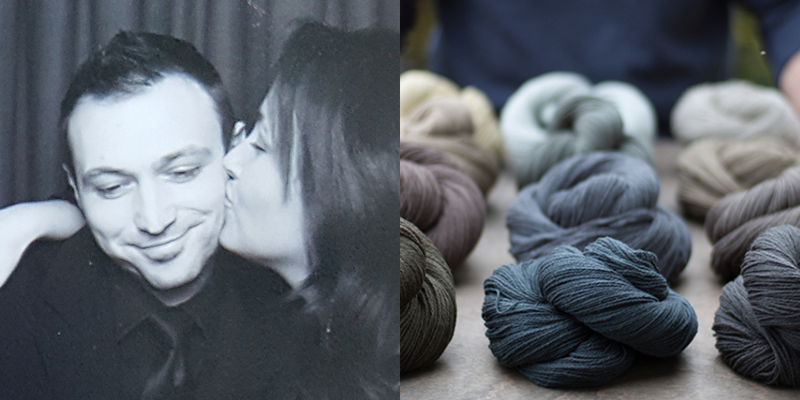 Thank you to Ve and Daniel and their family for the love and yarn they bring into the world. Great interview. Especially hearing from all the family. I hope you come back to Nashville. Loved loved LOVED this episode! Such an interesting and closeknit family and I enjoyed hearing their story. Loved this episode, what a great family!! What a lovely family behind such lovely yarn. Thanks for sharing their story with us. From this podcast I now know that I experienced and started loving Yoth Yarns early on. I loved learning more about them and enjoyed hearing the joyful family dynamics between them. Thank you! And I’ve been to that brewery next to the Saco River Dye House. It’s great! I really enjoyed listening to this week’s episode. It was very interesting to hear about their fiber journey. It is obvious how much love and respect they have for one another and their story is very inspiring. I love the emphasis on family that permeates thr YOTH company. You could honestly feel the love. WQhat a grewat story. Love YOTH yarn and really anxious to try Father! loved hearing this family (it made me miss my little brother)! thanks! Loved the story and the family involvement and commitment to a risky business venture. Beautiful yarns! What a great giveaway and such beautiful colors! As always, so inspirational. 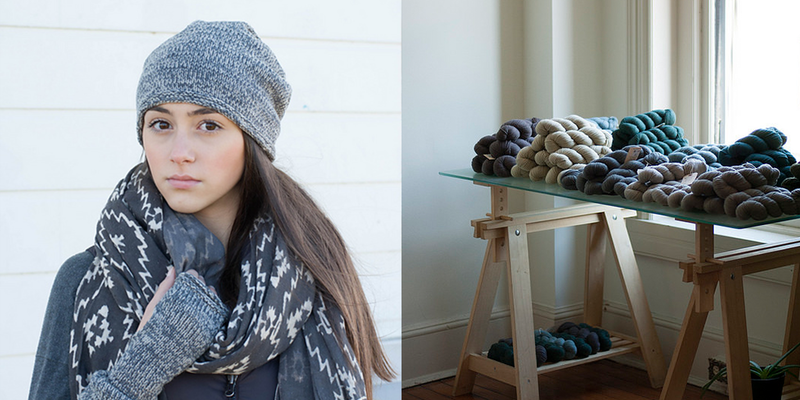 I love their yarns and designs, great to know more about their company. Thank you. I love listening to your podcast whenever I have time to knit. 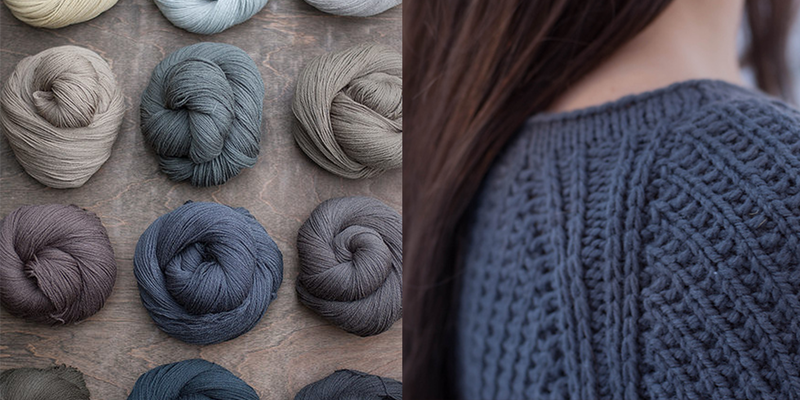 YOTHs colour ways are sooo gorgeous, I’d love to be able to knit that sweater! Wonderful episode! My LYS carries YOTH yarn and I’m definitely going to purchase some after hearing their story! Thank you to you all! I was fascinated by the YOTH story, although I have not purchased their yarn …..yet. I often check the website but I am unable to choose 1 color….there are so many colors that appeal to me! Such a lovely story of a true family business…all the support and comradery that goes into making and marketing beautiful yarn! I am so glad to have found your podcast. I have been listening to at least one or two a day the last few weeks while I spin or weave. Thanks you! I love the color ways of YOTH yarn. I am excited to see there new one. Another lovely episode. I love that this is a family operation. I was just thinking about this pattern this morning. I love YOTH yarns, though I have not knit with them yet. I had the pleasure to see them in person as I was walking out of Tolt with my yarn budget already spent! They have such a lovely color palette! Great podcast! Thank you for bringing us listeners such interesting and inspiring stories! I truly enjoyed every minute of this interview – what an amazing family!! 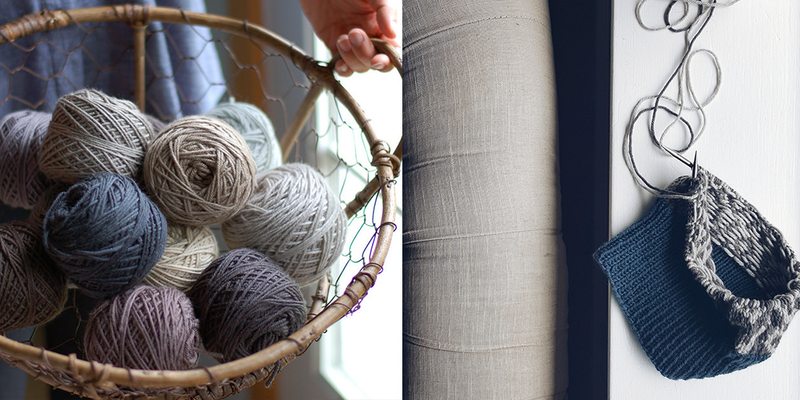 A heartwarming and inspiring story of how they started their yarn company. Very interesting podcast episode; thanks. Love the culture and family values in this episode! What a lovely family tale! Makes my heart warm. Thank you!! What a fun story!! The YOTH family story is just so wonderful to listen to. Thank you for sharing it. This is a wonderful warm story from this woolful family. I haven’t knit with Yoth yarn yet but am looking forward to trying it soon! Love that they followed their dreams without letting uncertainty get in the way, and I really love the natural colors of the yarn! Enjoyed hearing the YOTH story. The yarn is so yummy. Thank you for sharing their story. I love hearing about unique yarn bases, and I love the sound of the Father and Mother bases. Love to see companies looking further than merino – inspiring! This was my first time listening, and I loved hearing their story as I knit. Thank you! What a fascinating story! Thank you for sharing this. Another fabulous podcast! I really loved the connection FAMILY has with Yoth Yarns, truly inspirational! Thank you! tout le réconfort de la laine et ses couleurs de saison. Such a joyful family. I’ve had the pleasure of meeting Veronika several times and she always takes the time to make each person feel seen and special. Even at a crowded event like Stitches. What a lovely family, inspiring story and beautiful products! Thank you for another great episode! I thoroughly enjoyed listening to this week’s podcast. I love how this family pulled together to realize a dream, and the product they have created together is simply stunning. Loved the story of how YOTH came to be. The yarn is just simply beautiful! Thank you for putting this podcast together! It was lovely to learn more about this family’s yarn journey. Thank you. I just *loved* this episode. It was so great to hear the perspectives on YOTH from the entire family. This company is truly a labor of love. Looks so inspiring! Bookmarked to listen and knit to later. Thank you! Absolutely beautiful story ! 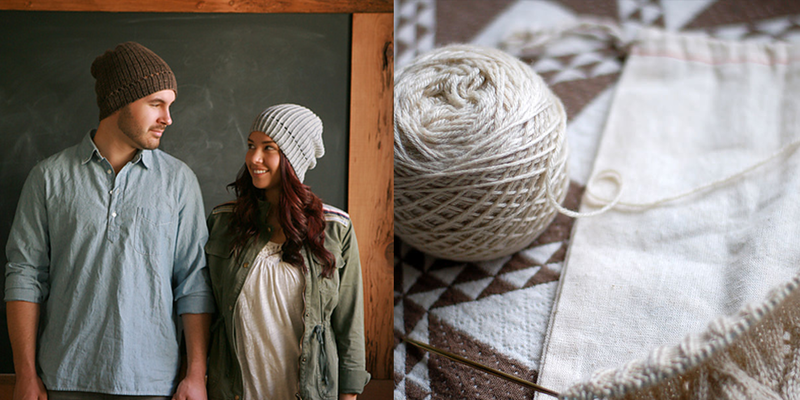 I love how YOTH is all about family, I adore their yarns and was so excited to learn about their wonderful company. I enjoyed listening to this podcast so much. What an inspiring family! I’ve been curious to try YOTH; now I really must. Thank you! Every color is utter perfection. This episode had me in tears a couple of times. You could feel their passion for what they do. Thank you for sharing! While i’ve followed their instagram and oohed and ahhed for quite some time the story behind it ll just makes me want so so much more! As a big fan of every neutral color there is, YOTH yarns really speaks to my soul. One of my favorite memories of my time as a knitter was knitting my way into the new year at a brewery just a few years ago. What an amazing family project! I love YOTH! I couldn’t be more excited to listen to this episode! Great episode and now I’m even more of fan of YOTH after listening. Love the grey/black palette so much. What a lovely episode! So great to hear the family each speaking about the company and their roles. You could hear the love, joy and pride in everyone’s voices. So cool! Wonderful episode! I loved hearing their story and how the entire family is so involved and supportive of one another. This was a great episode. 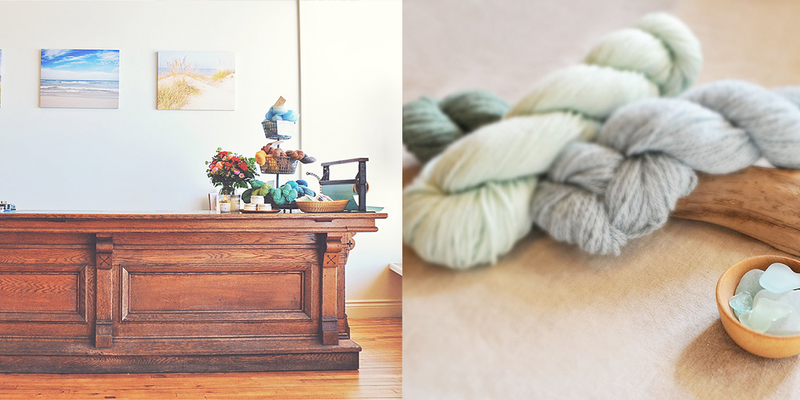 I love YOTH yarn, and learning more about the family behind the business makes or more special. I love supporting small businesses that are so passionate about what they’re doing! If you have to sacrifice beer production, beautiful yarn is a worthy cause. Great story. Cool family. Good to hear about the people behind this product line. What a truly heartwarming story. I think this kind of close family relationship is pretty rare and so lovely to hear about! I loved this episode of the podcast. Such an amazing story, and it is so awesome how they worked together as a family. What a great giveaway. Such a wonderful family story. I hope I have a chance to see and feel these lovely yarns in person. Such a nice episode! Thank you! Loved learning more about a yarn business and how it began! The YOTH colour palette looks very classic and warm, can’t wait to try it. What a beautiful product and story! As another citizen of western Washington and a future small business owner myself it’s great to hear stories of successful startups in the community. Keep it up! Such a wonderful interview with a lovely family! I loved hearing the history behind YOTH Yarns and their family dynamic, and most especially about Veronika’s leap from the corporate world. I really enjoyed the podcast and would love to try the beautiful yarn. 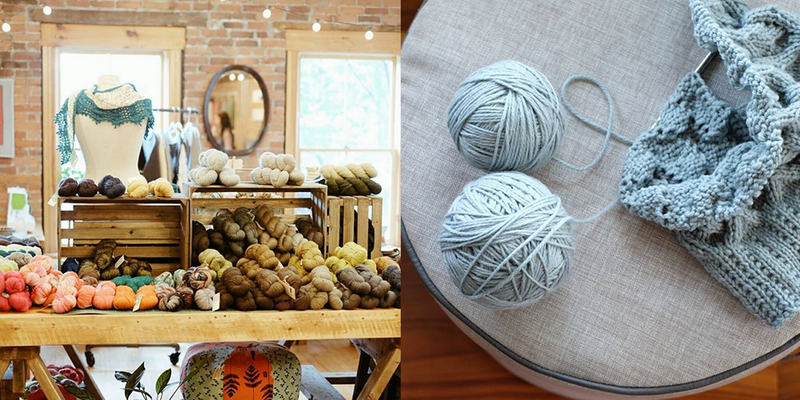 Loved learning more about the family behind YOTH yarns! Great episode. Thanks for the terrific episode and interview! They're usually more comfortable and well worn items. Oh, what fun! I loved hearing them all interact with each other. It’s so sweet that they can run YOTH all together. What a great episode! this whole family business seems like a dream. I also definitely will twirl my hair if I’m not doing something with my hands. Good to know I’m not alone. What a great episode and such a touching story. I really enjoyed listening to the love and joy the entire family shows. I honestly haven’t tried Yoth yarns, Listening to their interview has made me want to learn more about their palette, the creativity and passion they all have poured into the company. Your interviews are the best! This was such a cute episode, I love how happy the family is to be working together! Such a lovely family and interview. Listening to each family member speak about the Yoth business and their contribution to its success was inspiring and heart warming…thank you for sharing. I keep hearing about YOTH everywhere–funny how it happens that way sometimes. Looking forward to hearing their story. The pictures to accompany the podcast are lovely! Thoroughly enjoyed this podcast! Always a pleasure to listen! I really was inspired hearing the podcast today.Your name is so unique but, personal for every household.Having parents who have given the advise from their own perspective is enlightening and very helpful.On the other concerned in a way to guide your path to TOTH. My parents too were from Overseas Austria, I have a Hugh amount of respect for their strength and business savvy .Family companies is our inheritance in alloy of ways. I have not yet seen or used the YOTH yarns- besides the lovely photos. I really want to knit with it now, though after hearing about how their family business came to be- unfolding and including everyone. Your podcast is showing us that beautiful yarns have beautiful stories. What fun to listen to this great family dynamic and story about building the business. YOTH is inspirational in many ways. I love visiting their booth when they come to Stitches West, and now that I know their story I will look forward to my next visit even more. 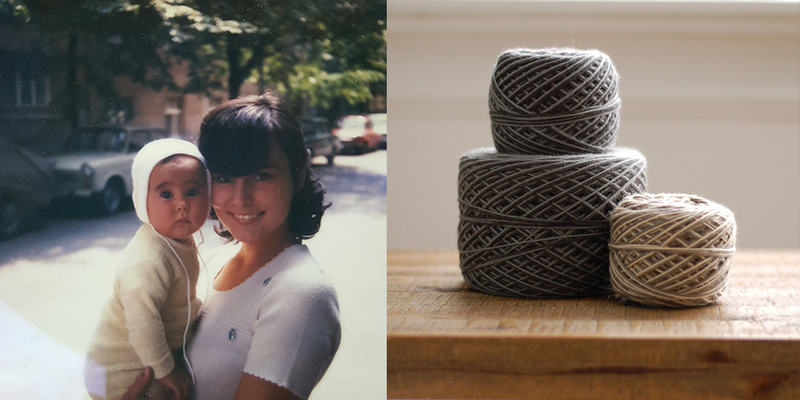 What a lovely episode – I’ve got a skein of the big sister that’s about to become a hat, and would love to knit with more of their gorgeous yarn. Thanks for the amazing giveaway! Lovely episode. Thank you for sharing as always! I have just found your podcast and am so happy I did! What a wonderful family story! I look forward to the next one. I loved this one even more than possible. I liked the working together as a family. I would love to try this yarn! This was my first time listening to your podcast and I really enjoyed hearing the family story behind YOTH. I live less than 20 miles away from Woodinville so it was fun to hear about a local business, and it was great to hear the genuine warmth and respect within this family. I just started listening to this podcast and I can’t believe it’s taken me this long! It’s wonderful to hear people talking about wool and knitting (I’d talk about it more but most people don’t care that much haha) Keep up the good episodes! What a great story. A wonderful immigrant family living the American dream. I am always so happy for folks that find their calling and are able to work in a job that makes them happy. Maybe a little green with envy too, but only in a good way. I really enjoyed listening to the stories. There is so much love. Thank you. Amazing podcast and interview. Just getting to know the family made me want to squish all of their yarn. 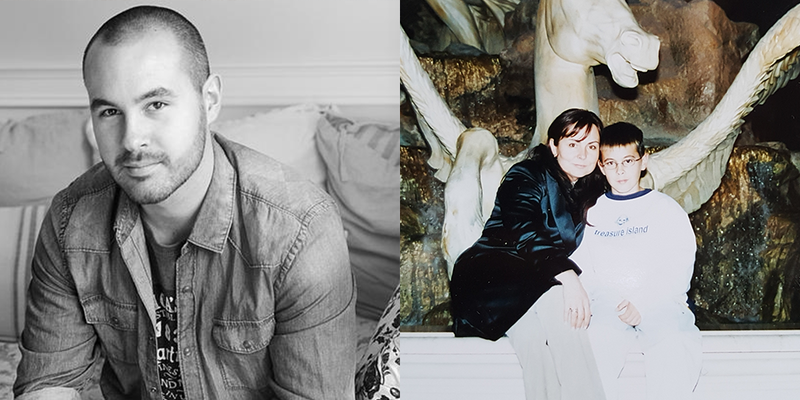 Thanks for the great looks into the lives of our favorite artists. Just discovered you and am totally thrilled! This was an absolutely awesome story. It was so inspiring, as are all your podcasts. Thank you so much for sharing it with us. I am looking forward to knitting with Yoth yarns in the future, and think about the love and passion that has gone into each skein.